near the old courthouse pacing up and down. . .
No collection of the history and hauntings of Illinois would be complete without some mention of Abraham Lincoln. The connections between the late president and the supernatural were maintained throughout his life - and beyond. Much has been made of Lincoln's prophetic dreams and of his belief in the spirit world, but why did those beliefs become such a prominent part of his life and what event caused Lincoln to turn to contact with the dead? Abraham Lincoln was always a melancholy person. The death of his mother when he was still a child; hard labor to make an existence for himself in the wilderness; and his struggle for an education, all combined to make him a serious man, even when he was making a joke. The Civil War caused him great sorrow and the heavy losses on both sides filled him with sadness. Lincoln paid obsessive detail to everything about the war and by 1864, portraits of him show a face etched with lines. He slept very little in those years and during the five years he lived in the White House, he spent less than one month away from work. His only escape was afforded him by the theater, a late night buggy ride or from his books. There are a number of stories that link President Lincoln to the supernatural and one of the most famous occurred when he was living in Springfield during the 1860 presidential elections. Election day in the city dawned with rousing blasts from a cannon, with music and contagious excitement. Lincoln spent the day and evening with friends at a telegraph office. By midnight, it was clear that he had been elected President of the United States. A late night dinner was held in his honor and then he returned to the office for more news. Guns fired in celebration throughout the night. Lincoln finally managed to return home in the early morning hours although news of victory and telegrams of congratulations were still being wired to his office. He went into his bedroom for some much needed rest and collapsed onto a settee. Near the couch was a large bureau with a mirror on it and Lincoln stared for a moment at his reflection in the glass. He then experienced what many would term a "vision"... an odd vision that Lincoln would later believe had prophetic meaning. He saw that in the mirror, his face appeared to have two separate, yet distinct, images. The tip of one nose was about three inches away from the other one. The vision vanished but appeared again a few moments later. It was clearer this time and Lincoln realized that one of the faces was actually much paler than the other, almost with the coloring of death. The vision disappeared again and Lincoln dismissed the whole thing to the excitement of the hour and his lack of sleep. Later on that evening, he told Mary of the strange vision and attempted to conjure it up again in the days that followed. The faces always returned to him and while Mary never saw it, she believed her husband when he said he did. She also believed she knew the significance of the vision. The healthy face was her husband's "real" face and indicated that he would serve his first term as president. The pale, ghostly image of the second face however was a sign that he would be elected to a second term.... but would not live to see its conclusion. The war took a terrible toll on President Lincoln but there is no doubt that the most crippling blow he suffered in the White House was the death of his son, Willie, in 1862. Lincoln and Mary grieved deeply over Willie's death. Eddie had passed away a number of years before and while they didn't know it at the time, Tad would only live to be age eighteen. This left Robert as the only Lincoln son to see adulthood. Lincoln was sick at heart over Willie's death and it was probably the most intense personal crisis in his life. Some historians have even called it the greatest blow he ever suffered. Even Confederate President Jefferson Davis expressed condolences over the boy's death. The reports of what Willie actually died from vary from story to story. In the end, it remains a mystery. He was said to have been a delicate child, despite his rough play with his brother and his outdoor activities. Like his brother Eddie, he may have suffered from "consumption" or according to some accounts, he contracted either an acute malarial infection or typhoid. In either case, the lack of proper sanitation would have been a factor. During the 1860's, Washington had open sewers and a filthy canal for drinking water. The city's garbage was dumped into the water just a short distance from the White House. The onset of Willie's sickness occurred during the last days of January 1862. He was out playing in the snow with Tad and both of them developed a fever and a cold. Tad's illness soon passed, but Willie seemed to get worse. He was kept inside for a week and finally put into bed. A doctor was summoned and he assured Mary that the boy would improve, despite the fact that Willie's lungs were congested and he was having trouble breathing. More doctors were called in to consult and soon, Willie's illness made the newspapers. The reporters conjectured that he may have contracted bilious fever. One parent stayed with the frightened and sick boy at all times and a nurse came to spell them from one of the local hospitals. After a week of this, Mary was too weak and exhausted to rise from her own bed but Lincoln never left the boy's side, sleeping and eating in a chair next to his bed. The doctors had no hope for the child as he grew worse. Soon, his mind wandered and he failed to recognize anyone, including his beloved father. Death came for Willie on the afternoon of February 20, 1862. The funeral was held in the East Room at the White House. The service was short. Willie had been embalmed to make the trip back to Springfield and be buried beside his brother, but Lincoln changed his mind about that at the last minute. He accepted an offer made to him by a friend, William Thomas Carroll, to place the body of Willie in one of the crypts in the Carroll family tomb. This would be until Lincoln retired from the presidency and returned to live in Springfield himself. He could not bear the idea of having Willie so far away from him just yet. In fact, Lincoln returned to the cemetery the next day to watch the body as it was moved from the cemetery chapel to the crypt itself. The tomb was located in a remote area of the cemetery and was built into the side of a hill. It was a beautiful and peaceful spot but Lincoln wouldn't be able to leave his son unattended there for long. Word got out that Lincoln returned to the tomb on two occasions and had Willie's coffin opened. The doctor had embalmed Willie so perfectly that he everyone said he just seemed to be sleeping. The President claimed that he was forced to look upon his boy's face just one last time. After the funeral, Lincoln tried to go on about his work, but his spirit had been crushed by Willie's death. One week after the funeral, he closed himself up in his office all day and wept. It has often been said that Lincoln was on the verge of suicide at this point, but none can say for sure. He did withdraw even further into himself though and he began to look more closely at the spiritual matters which had interested him for so long. Although many Lincoln scholars say otherwise, it is more than possible that Abraham Lincoln didn't just believe in the supernatural, but that he actually participated in it. There are others who say that he actually attended seances which were held in the White House. Whether he accepted the movement or not, it is a fact that many Spiritualists were often guests there. Several of them were even said to have given him warnings about the dark shadows which hung over his life. Of course, Lincoln himself was convinced that he was doomed and adopted a very fatalistic attitude during his presidency, especially after Willie's death. After the boy died, Lincoln treasured small items and drawings given to him by Willie, sometimes sitting them all over his desk while he worked, hoping to capture his essence. Small toys that had belonged to Willie were placed on his fireplace mantel, along with a framed picture of Illinois. Lincoln would tell visitors that it had been painted by "my boy, who died." His friends stated that Lincoln would often watch the door while he worked, as if expecting the boy to run through it and give his father a hug, as he often did in life. Lincoln also began to speak of how Willie's spirit remained with him and how his presence was often felt in his home and office. Some mediums theorized that Lincoln's obsession with the boy's death may have caused Willie's spirit to linger behind, refusing, for his father's sake, to pass on to the other side. While Lincoln avoided the spiritualists in public, Mary embraced them openly. She had been quick to turn to contact with the other side for comfort after Willie's death. Once he was gone, Mary never again entered the White House guest room where he died or the room in which the funeral viewing was held. Some historians claim that this was the beginning of Mary's mental instability, but not because of the mediums, because of her fervent grief instead. The obsession over Spiritualism was just one of the symptoms, but none could ignore the fact that her headaches, mood swings and bursts of irrational temper were growing worse. Mary began meeting with a number of different Spiritualists and invited many to the White House, as each claimed to be able to "lift the thin veil" and allow Mary to communicate with Willie. Mary's closest spiritualist companion, and one of whom there is some record that Lincoln also met with, was Nettie Colburn Maynard. Many are familiar with a tale told about a seance held by Nettie Maynard in 1863 where a grand piano levitated. The medium was playing the instrument when it began to rise off the floor. Lincoln and Colonel Simon Kase were both present and it is said that both men climbed onto the piano, only to have it jump and shake so hard that they climbed down. It is recorded that Lincoln would later refer to the levitation as proof of an "invisible power." Rumors spread that Lincoln had an interest in the spirit world. In England, a piece of sheet music was published which portrayed him holding a candle while violins and tambourines flew about his head. The piece of music was called "The Dark Seance Polka" and the caption below the illustration of the president read "Abraham Lincoln and the Spiritualists". 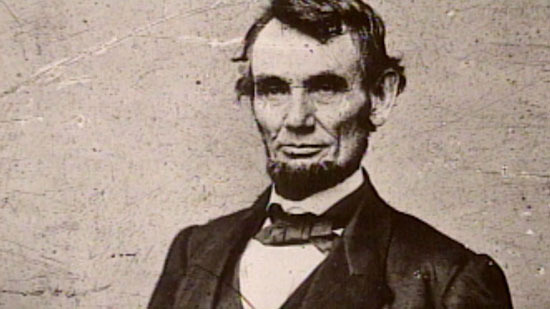 Perhaps the most famous supernatural incident connected to Lincoln would be his last prophetic dream of the his assassination. One of Lincoln's old friends from Illinois was a lawyer with whom he had ridden the legal circuit named Ward Hill Lamon. Lincoln had appointed him to a security position in the White House and he worried constantly over Lincoln's seeming indifference to threats and warnings of death. Lamon often resigned his position because his friend did not take the danger seriously. Lincoln always convinced him to stay on, promising to be more careful.... as he vanished out of the White House at night, or attended the theater without protection. Lamon became obsessed with watching over Lincoln and many believe that the president would not have been killed at Ford's Theater had Lamon been on duty that night. As it turned out, the security chief happened to be in Richmond, Virginia, on an errand for the president, when disaster struck. He would never forgive himself for what happened... especially since he believed that he had a forewarning of the event, from Lincoln himself. Years later, Lamon would remember that Lincoln had always been haunted by the strange vision that he experienced in the mirror in 1860. Several years after that, it was to Lamon and Mary Lincoln to whom the president would recount an eerie dream of death, just shortly before his assassination. "About ten days ago, I retired late. I soon began to dream. There seemed to be a death-like stillness about me. Then I heard subdued sobs, as if a number of people were weeping. I thought I left my bed and wandered downstairs. There the silence was broken by the same pitiful sobbing, but the mourners were invisible. I went from room to room; no living person was in sight, but the same mournful sounds of distress met me as I passed along. "It was light in all the rooms; every object was familiar to me, but where were all the people who were grieving as if their hearts would break? I was puzzled and alarmed. What could be the meaning of all this? Determined to find the cause of a state of things so mysterious and so shocking, I kept on until I arrived at the East Room, which I entered. Before me was a catafalque, on which rested a corpse wrapped in funeral vestments. Around it were stationed soldiers who were acting as guards; and there was a throng of people, some gazing mournfully upon the corpse, whose face was covered, others weeping pitifully.
" 'Who is dead in the White House? ', I demanded of one of the soldiers. "Then came a loud burst of grief from the crowd, which awoke me from my dream. I slept no more that night; and although it was only a dream, I have been strangely annoyed by it ever since." Lincoln was murdered just a few days later and his body was displayed in the East Room of the White House. Mary would recall this dream of her husband's quite vividly in the days which followed. It was said that her first coherent word after the assassination was a muttered statement about his dream being prophetic. A short time after the dream, while attending a performance of a play called "Our American Cousin" at Ford's Theater, Lincoln was killed by an assassin named John Wilkes Booth. The Oldest Lincoln Haunting The oldest actual haunting connected to Abraham Lincoln is the alleged haunting of his tomb in Springfield. Tales of his ghost here have been around since the time his body actually arrived in Springfield from Washington. However, there are many reasons why the sight might be haunted from grave robbery to the posthumous wanderings of his corpse, and an ongoing mystery, may be more than enough to explain this haunting. Following his assassination in April 1865, the President's body was returned to Springfield and to a grave in a remote, wooded cemetery called Oak Ridge. The cemetery had been started around 1860 and it mostly consisted of woods and unbroken forest. In fact, not until after Lincoln was buried there was much done in the way of improvement, adding roads, iron gates and a caretaker's residence. Lincoln was taken to the receiving vault of the cemetery and placed there with his sons, Willie, who had died during the presidency and Eddie, Lincoln's son who had died many years before. A short time later, a temporary vault was built for Lincoln and in seven months, on December 21, he was placed inside. Six of Lincoln's friends wanted to be sure the body was safe, so a plumber's assistant named Leon P. Hopkins made an opening in the lead box for them to peer inside. All was well and Lincoln and his sons were allowed a temporary rest. The new construction on a permanent tomb would last for more than five years and it was during this time that strange things began to be reported in the vicinity of Lincoln's resting place. A few days after the body was placed in the receiving vault, Springfield residents and curiosity seekers began to tell of sighting a spectral image of Lincoln himself wandering about near the crypt. The legends say that he was taking walks to investigate the broken ground where his tomb would someday stand. And the stories didn't end there either.... after the bodies were moved to the monument tomb, strange sobbing noises and sounds like footsteps were often heard at the site. On September 19, 1871, the caskets of Lincoln and his sons were removed from the hillside crypt and taken to the catacomb. The tomb was not quite finished yet, but the completed portion was a suitable place for them to be moved to. The plumber, Leon P. Hopkins, opened the coffin once more and the same six friends peered again at the president's face. The dead president was laid to rest again, for another three years, while the workmen toiled away outside. On October 9, 1874, Lincoln was moved again. This time, his body was placed inside of a marble sarcophagus, which had been placed in the center of the semi-circular catacomb. A few days later, the monument was finally dedicated. Money had been raised for the groups of statues that were situated outside and the citizens of Springfield seemed content with the final resting place of their beloved Abraham Lincoln. But then a new threat arose from a direction that no one could have ever predicted... In 1876, a band of thieves broken into the tomb and almost made off with the president's remains. They had planned to hold the body for ransom and only failed because one of the men in their ranks was a spy for the Secret Service. It did not take long before the story of the Lincoln grave robbery became a hotly denied rumor, or at best, a fading legend. The custodians of the site simply decided that it was something they did not wish to talk about. Of course, as the story began to be denied, the people who had some recollection of the tale created their own truth in myths and conspiracies. Hundreds of people came to see the Lincoln burial site and many of them were not afraid to ask about the stories that were being spread about the tomb. From 1876 to 1878, custodian John C. Power gave rather evasive answers to anyone who prodded him for details about the grave robbery. He was terrified of one question in particular and it seemed to be the one most often asked... was he sure that Lincoln's body had been returned safely to the sarcophagus after the grave robbers took it out? Power was terrified of that question for one reason.... because at that time, Lincoln's grave was completely empty! On the morning of November 1876, when John T. Stuart of the Lincoln National Monument Association, learned what had occurred in the tomb with the would-be robbers, he rushed out to the site. He was not able to rest after the incident, fearing that the grave robbers, who had not been caught at that time, would return and finish their ghoulish handiwork. So, he made a decision. He notified the custodian and told him that they must take the body from the crypt and hide it elsewhere in the building. Together, they decided the best place to store it would be in the cavern of passages which lay between the Memorial Hall and the catacomb. That afternoon, Adam Johnson, a Springfield marble-worker, took some of his men and they lifted Lincoln's casket from the sarcophagus. They covered it over with a blanket and then cemented the lid back into place. Later that night, Johnson, Power and three members of the Memorial Association stole out to the monument and carried the 500-pound coffin around the base of the obelisk, through Memorial Hall and into the dark labyrinth. They placed the coffin near some boards that had been left behind in the construction. The following day, Johnson built a new outer coffin while Power set to work digging a grave below the dirt floor. It was slow work, because it had to be done between visitors to the site, and he also had a problem with water seeping into the hole. Finally, he gave up and simply covered the coffin with the leftover boards and wood. For the next two years, Lincoln lay beneath a pile of wood in the labyrinth, while visitors from all over the world wept and mourned over the sarcophagus at the other end of the monument. More and more of these visitors asked questions about the theft... questions full of suspicion, as if they knew something they really had no way of knowing. In the summer and fall of 1877, the legend took another turn. Workmen arrived at the monument to erect the naval and infantry groups of statuary on the corners of the upper deck. Their work would take them into the labyrinth, where Power feared they would discover the coffin. The scandal would be incredible, so Power made a quick decision. He called the workmen together and swearing them to secrecy, showed them the coffin. They promised to keep the secret, but within days everyone in Springfield seemed to know that Lincoln's body was not where it was supposed to be. Soon, the story was spreading all over the country. Power was now in a panic. The body had to be more securely hidden and to do this, he needed more help. He contacted two of his friends, Major Gustavas Dana and General Jasper Reece and explained the situation. These men brought three others to meet with Power, Edward Johnson, Joseph Lindley and James McNeill, all of Springfield. On the night of November 18, the six men began digging a grave for Lincoln at the far end of the labyrinth. Cramped and cold, and stifled by stale air, they gave up around midnight with the coffin just barely covered and traces of their activity very evident. Power promised to finish the work the next day. These six men, sobered by the responsibility that faced them, decided to form a brotherhood to guard the secret of the tomb. They brought in three younger men, Noble Wiggins, Horace Chapin and Clinton Conkling, to help in the task. They called themselves the Lincoln Guard of Honor and had badges made for their lapels. After the funeral of Mary Lincoln, John T. Stuart told the Guard that Robert Lincoln wanted to have his mother's body hidden away with his father's. So, late on the night of July 21, the men slipped into the monument and moved Mary's double-leaded casket, burying it in the labyrinth next to Lincoln's. Visitors to the tomb increased as the years went by, all of them paying their respects to the two empty crypts. Finally, in 1886, the Lincoln National Monument Association decided that it was time to provide a new tomb for Lincoln in the catacomb. A new and stronger crypt of brick and mortar was designed and made ready. The press was kept outside as the Guard, and others who shared the secret of the tomb, brought the Lincoln caskets out of the labyrinth. Eighteen persons who had known Lincoln in life filed past the casket, looking into a square hole that had been cut into the lead coffin. Strangely, Lincoln had changed very little. His face was darker after 22 years but they were still the same sad features these people had always known. The last man to identify the corpse was Leon P. Hopkins, the same man who had closed the casket years before. He soldered the square back over the hole, thinking that he would be the last person to ever look upon the face of Abraham Lincoln. "All time" lasted for about 13 more years. 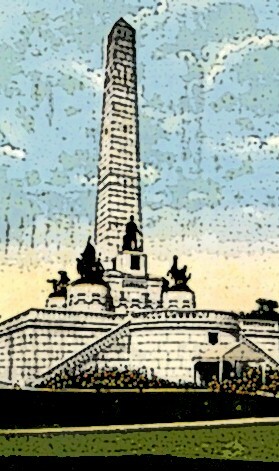 In 1899, Illinois legislators decided the monument was to be torn down and a new one built from the foundations. It seemed that the present structure was settling unevenly, cracking around the "eternal" vault of the president. There was once again the question of what to do with the bodies of the Lincoln family. The Guard of Honor (who was still around) came up with a clever plan. During the 15 months needed for construction, the Lincoln's would be secretly buried in a multiple grave a few feet away from the foundations of the tomb. As the old structure was torn down, tons of stone and dirt would be heaped onto the grave site both to disguise and protect it. When the new monument was finished, the grave would be uncovered again. When the new building was completed, the bodies were exhumed once again. In the top section of the grave were the coffins belonging to the Lincoln sons and to a grandson, also named Abraham. The former president and Mary were buried on the bottom level and so safely hidden that one side of the temporary vault had to be battered away to reach them. Lincoln's coffin was the last to be moved and it was close to sunset when a steam engine finally hoisted it up out of the ground. The protective outer box was removed and six construction workers lifted the coffin onto their shoulders and took it into the catacomb. The other members of the family had been placed in their crypts and Lincoln's was placed into a white, marble sarcophagus. The group dispersed after switching on the new electric burglar alarm. This device connected the monument to the caretaker's house, which was a few hundred feet away. As up-to-date as this device was, it still did not satisfy the fears of Robert Lincoln, who was sure that his father's body would be snatched again if they were not careful. He stayed in constant contact with the Guard of Honor, who were still working to insure the safety of the Lincoln's remains, and made a trip to Springfield every month or so after the new monument was completed. Something just wasn't right.... even though the alarm worked perfectly, he could not give up the idea that the robbery might be repeated. He journeyed to Springfield and brought with him his own set of security plans. He met with officials and gave them explicit directions on what he wanted done. The construction company was to break a hole in the tile floor of the monument and place his father's casket at a depth of 10 feet. The coffin would then be encased in a cage of steel bars and the hole would be filled with concrete, making the president's final resting place into a solid block of stone. On September 26, 1901, a group assembled to make the final arrangements for Lincoln's last burial. A discussion quickly turned into a heated debate. The question that concerned them was whether or not Lincoln's coffin should be opened and the body viewed one last time? Most felt this would be a wise precaution, especially in light of the continuing stories about Lincoln not being in the tomb. The men of the Honor Guard were all for laying the tales to rest at last, but Robert was decidedly against opening the casket again, feeling that there was no need to further invade his father's privacy. In the end, practicality won out and Leon P. Hopkins was sent for to chisel out an opening in the lead coffin. The casket was placed on two sawhorses in the still unfinished Memorial Hall. The room was described as hot and poorly lighted, as newspapers had been pasted over the windows to keep out the stares of the curious. What actually took place in that room is unknown except from the reports of the select few who were present. Most likely, they were the same people who had been present several years before when the body had been placed in the brick and mortar vault. A piece of the coffin was cut out and lifted away. According to diaries, a "strong and reeking odor" filled the room, but the group pressed close to the opening anyway. The face of the president was covered with a fine powder made from white chalk. It had been applied in 1865 before the last burial service. It seemed that Lincoln's face had turned inexplicably black in Pennsylvania and after that, a constant covering of chalk was kept on his face. Lincoln's features were said to be completely recognizable. The casket's headrest had fallen away and his head was thrown back slightly, revealing his still perfectly trimmed beard. His small black tie and dark hair were still as they were in life, although his eyebrows had vanished. The broadcloth suit that he had worn to his second inauguration was covered with small patches of yellow mold and the American flag that was clutched in his lifeless hands was now in tatters. There was no question, according to those present, that this was Abraham Lincoln and that he was placed in the underground vault. The casket was sealed back up again by Leon Hopkins, making his claim of years ago to be true.... he really was the last person to look upon the face of Lincoln. The casket was then lowered down into the cage of steel and two tons of cement was poured over it, forever encasing the president's body in stone. You would think that would be the end of it, but as with all lingering mysteries, a few questions still remain. The strangest are perhaps these: does the body of Abraham Lincoln really lie beneath the concrete in the catacomb? Or was the last visit from Robert Lincoln part of some elaborate ruse to throw off any further attempts to steal the president's body? And did, as some rumors have suggested, Robert arrange with the Guard of Honor to have his father's body hidden in a different location entirely? Most historians would agree that Lincoln's body is safely encased in the concrete of the crypt, but let's look at this with a conspiratorial eye for a moment. Whose word do we have for the fact that Lincoln's body is where it is said to be? We only have the statement of Lincoln's son, Robert, his friends and of course, the Guard of Honor.... but weren't these the same individuals who left visitors to the monument to grieve before an empty sarcophagus while the president was actually hidden in the labyrinth, beneath a few inches of dirt? And what of the stories that claim that Lincoln's ghost still walks the tomb? Many have reported that he, or some other spirit here, does not rest in peace. Many tourists, staff members and historians have had some unsettling impressions here that aren't easily laughed away. Usually these encounters have been reported as the sound of ceaseless pacing, tapping footsteps on the tile floors, whispers and quiet voices, and the sounds of someone crying or weeping in the corridors. Do the events of the past merely echo here in this lonely tomb? Or does the phantom of Abraham Lincoln still linger behind, wondering where his body might now be buried?